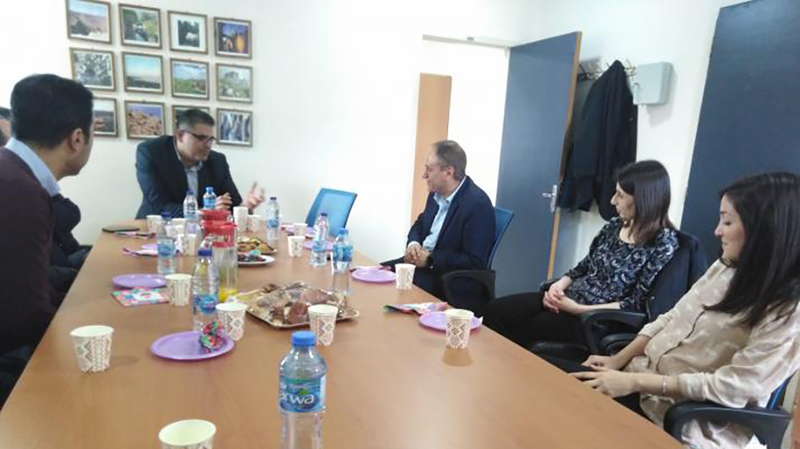 A team from Intel Corporation, an American multinational technology company, visited the Faculty of Engineering and Technology at Birzeit University on March 6, 2019, to look into prospects of cooperation in precision electronic technologies. A year ago, Intel Corporation supported the establishment of a lab for the design and testing of electronic chips, allowing dozens of students to graduate with advanced levels of knowledge and specialized experience in precision industries. Dean of the Faculty of Engineering and Technology Wasel Ghanem expressed his pride in this strategic partnership with Intel that opens doors for students to enhance their skills in state-of-the art technologies and modern industries. Both parties agreed to organize a summer school for students where specialized international and local professors will provide training in this technology.